Few players have the skill-set needed to outmanoeuvre Bayern Munich's star-studded midfield in Saturday's Der Klassiker, but Borussia Dortmund youngster Julian Weigl is one of them. The 21-year-old has made the holding role his own since joining BVB from second-tier 1860 Munich in summer 2015, earning lofty praise and comparisons with two of the modern game's archetypal midfield generals along the way. "He is very similar to [Sergio] Busquets," Dortmund defender Marc Bartra - who spent 14 years man and boy at FC Barcelona - told Mundo Deportivo recently. "He dictates play from midfield and helps us a lot when we lose the ball, it looks like he always has everything under control. He really reminds me of Busquets a lot, even if there is obviously still some distance between the two of them. Busi is the best in the world in his position. But Julian is quite similar." 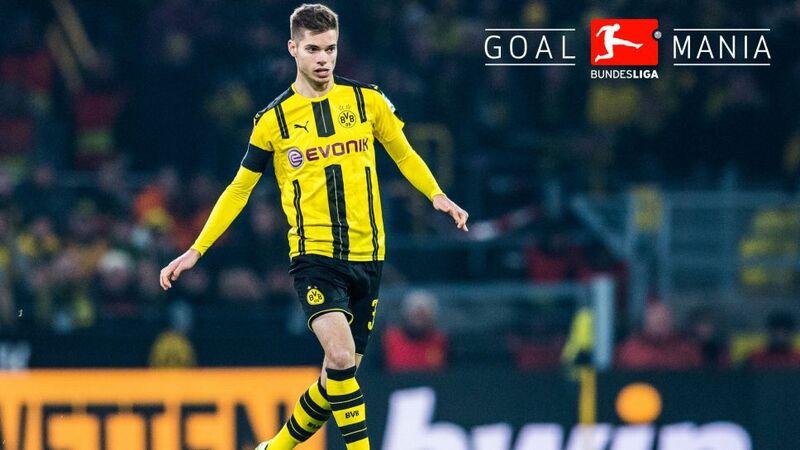 Indeed, much like Busquets at Barca, Weigl has become the cornerstone of the Dortmund midfield. The ease with which he recycles possession belies his tender years, while his passing range is tailor-made for the BVB system. And while he might not be the most daunting proposition physically, what he lacks in brawn he more than makes up for in brain. "He's a key player for us," Dortmund head coach Thomas Tuchel said of his midfield maestro. "He did brilliantly last season, but he had Mats Hummels behind him and was playing alongside Ilkay Gündogan. Obviously they've both gone now and that's had an effect on Julian, but he's taken on the responsibility and been incredibly consistent. Now he has to maintain that consistency. His potential is huge." Aptly enough, it was a best-mark previously held by another esteemed Bundesliga synergist - Xabi Alonso. The soon-to-be-retired Bayern veteran has banged the midfield drum for some of the best in the business in his time and - indirectly or other - has clearly had an influence on Weigl's coveted rhythmic genius.